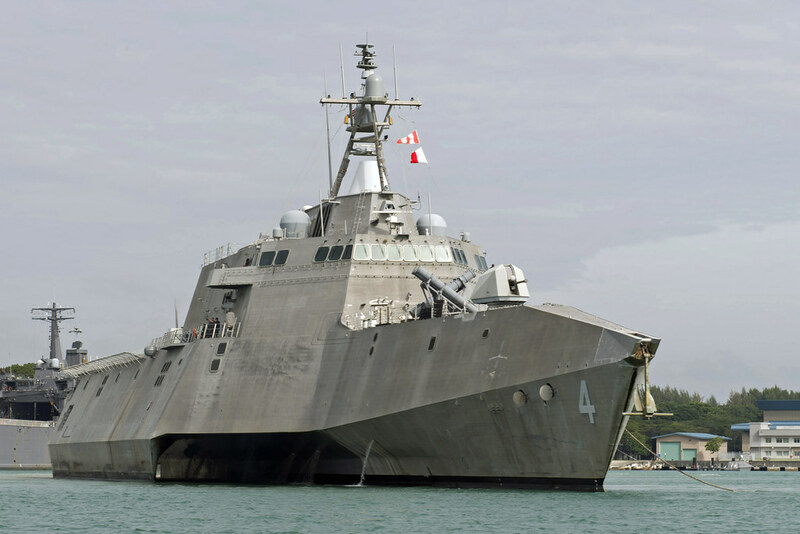 SINGAPORE - Littoral combat ship USS Coronado (LCS 4) headed out to sea from Changi Naval Base, Jan. 31, after completing a maintenance availability in port. While at sea, Coronado Sailors will conduct flight operations, small-caliber action team training and engineering operational testing. The underway follows a successful in-port maintenance availability where the ship conducted corrective maintenance as well as more than 900 preventive maintenance checks throughout the ship. The crew will conduct training in multiple warfare areas while underway in preparation for operations, theater security cooperation exercises and maritime security engagements scheduled during the ship's rotational deployment to the Indo-Asia-Pacific in 2017. The ship's maintenance availability began in December and included a D-phase maintenance procedure and a Material Condition Inspection (MCI) on the embarked MH-60S helicopter. Lt. Cmdr. Thanh Nguyen, officer in charge, Helicopter Sea Combat Squadron (HSC) 23 detachment 5, talked about the importance of the procedure, which looks at all aspects of the helicopter including the engines and rotors. Currently on its maiden deployment, Coronado is a fast and agile warship tailor-made to patrol the region's littorals and work hull-to-hull with partner navies, providing 7th Fleet with the flexible capabilities it needs now and in the future. On behalf of Commander, Task Force 73, Destroyer Squadron 7 conducts advanced planning, organizes resources, and directly supports the execution of maritime engagements such as the Cooperation Afloat Readiness and Training (CARAT) exercise series, the Naval Engagement Activity (NEA) with Vietnam, and the multilateral Southeast Asia Cooperation and Training (SEACAT) exercise with Bangladesh, Cambodia, Brunei, Indonesia, Malaysia, the Philippines, Singapore, and Thailand.